The Incredibles Bounce House 2 is ready to transport your kids into the most epic adventure. The Incredibles Family isn't undercover anymore and in this incredibles bounce house, they are ready to protect the world at the entrance of this Bounce House. Bounce your way through the story and join the incredibles on their bouncy adventures. 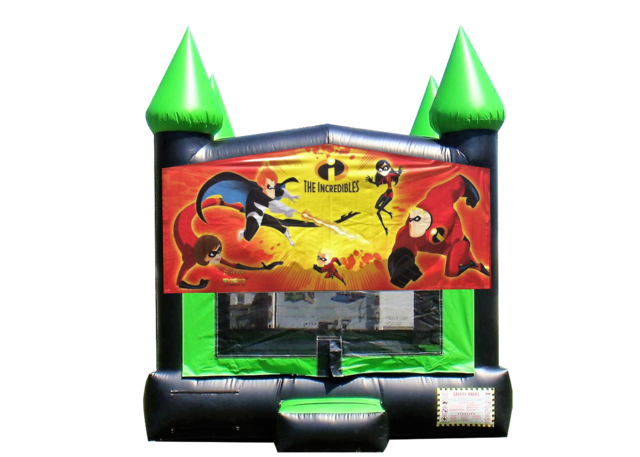 Rent an Incredibles Bounce House from our inventory and don't forget we have tables and chairs packages, concession machine rentals and interactive games to make your Incredibles party... EPIC!